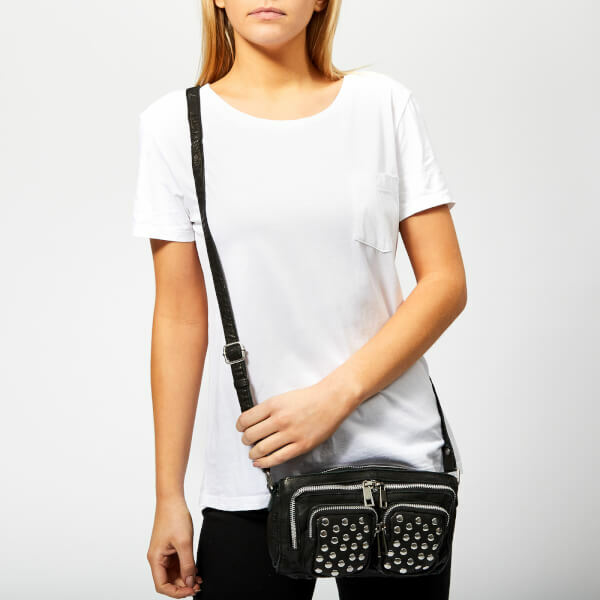 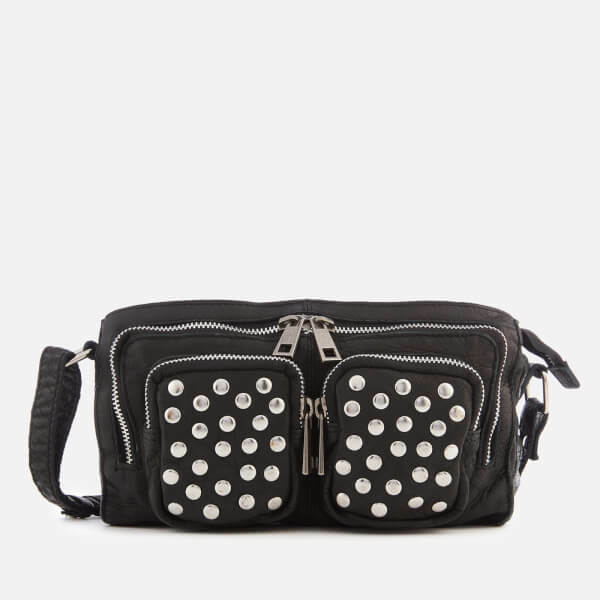 Realised in buttery-soft calfskin leather adorned with silver stud embellishments, the women’s ‘Stine Disco’ cross body bag from Copenhagen-based label, Núnoo boasts a slouchy, rectangular construction with a multitude of external zip pockets for keeping essentials organised and easily accessible. 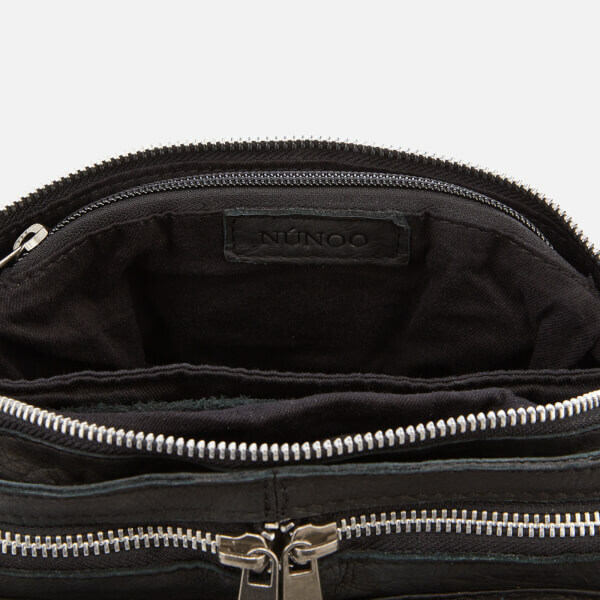 Accessed by a top zip closure, the bag’s triple-compartment interior is lined with fabric and houses a large zip pocket and phone slip within. 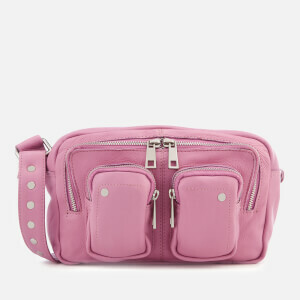 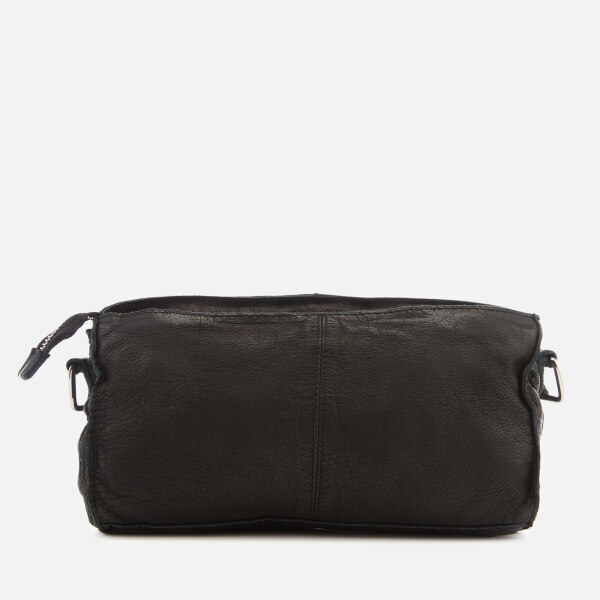 Transported by an adjustable cross body strap. 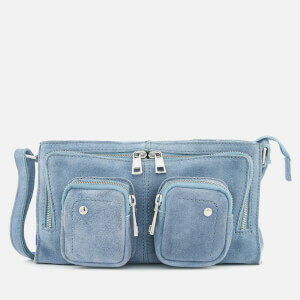 Detailed with silver-tone hardware and raw suede trims.